Crumbs and Cookies: blondie pie. Well, we've heard of brownie pie, and now we have blondie pie. Who else would come up with this idea other than the folks at Momofuku Milk Bar? I was anticipating that this pie would be a good one. I love graham cracker crusts. I love white chocolate. And I love caramelized nuts. As you can possibly imagine, I was terribly disappointed when this pie wasn't as good as it sounds on paper. The recipe did not instruct for the crust to be pre-baked, resulting in a soggy base and was lacking in that toasty fragrance that I look for in a good graham cracker crust. The sogginess could also be due to the extremely wet filling which I made even looser by subbing the heavy cream for milk. I was originally planning to use heavy cream, right up until I emulsified the melted white chocolate and butter with the egg yolks and sugar, which was ridiculously thick! I thought that if I went ahead with cream, the pie would be way too rich, hence my decision. Anyway, back to the crust. Momofuku Milk Bar adopts an unorthodox technique by using a mix of heavy cream and melted butter to act as the "glue" to hold the graham cracker crumb mixture together. Personally, I don't think the use of cream is justified in this pie crust. Its milkiness numbed the nuttiness sort of taste of the graham crackers and as it wasn't pre-baked, the whole thing tasted like soggy cereal. Ew. The blondie pie filling may sound like a sugar bomb but it honestly wasn't. The fact that I wasn't jumping up and down in my room while eating the pie is plenty enough proof. This is probably the only redeeming factor in this recipe. The recipe called for a batch of cashew brittle to be used in two parts of this multi-component recipe but I forgot to photocopy it (I borrowed Momofuku Milk Bar cookbook from the library) so I had to use my own brittle recipe. Perhaps if I had used theirs, the praline topping would make a deeper impression. The final product was basically finely ground caramelized nuts with a bit of moisture from added oil. Nothing special. Just a nut brittle in a different form. 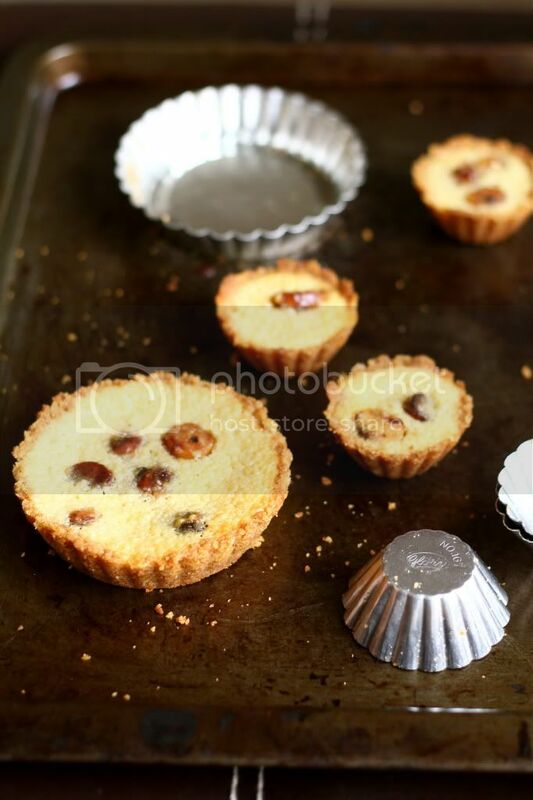 Toss the graham crumbs, milk powder, sugar and salt together until evenly distributed. Whisk the melted butter and heavy cream together. Add to the dry ingredients and toss again to evenly distribute. The mixture should hold its shape if squeezed tightly. If it is not moist enough to do so, melt an additional 1 to 1/2 tbsp butter and add it to the mixture. Press into a 10 inch pie tin. Heat the sugar and water in a saucepan until 248F, swirling occasionally to evenly distribute the heat. Do not stir. Once the sugar syrup reaches 248F, dump in the nuts and stir them to coat. Remove saucepan from heat and continue stirring the nuts around until a coarse sandy layer of sugar coats their surfaces. Return the saucepan back on medium heat, heating the nuts until the sugar starts to melt and caramelize. Stir occasionally to avoid burning them. When the nuts have caramelized, pour them out onto a baking sheet lined with a silicon mat or parchment paper. 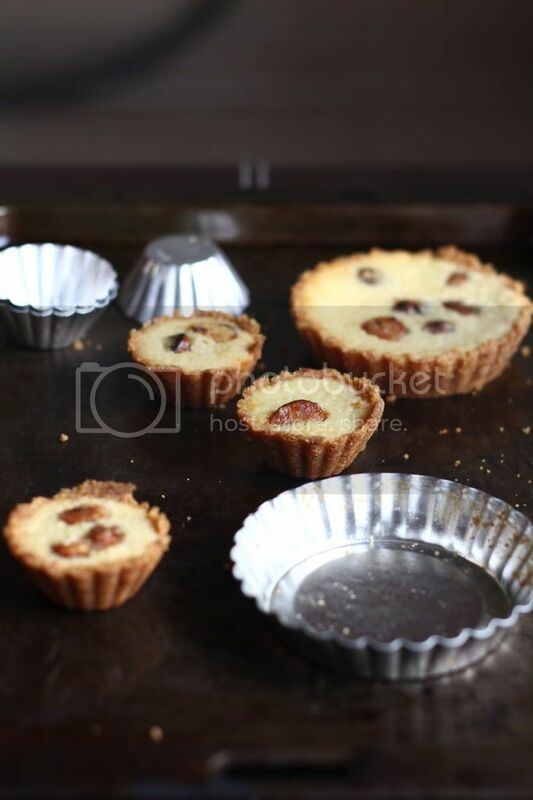 Allow the caramelized macadamias to cool completely before storing. Melt the white chocolate and butter and stir the mixture until its smooth. Set aside. Stir together the flour, salt and and caramelized macadamias. Whisk the egg yolks and sugar to combine. Add in the melted white chocolate mixture to whisk to combine. The mixture will appear curdled at first but keep going and it will emulsify into a thick batter-like consistency. Whisk in the heavy cream. Fold in the flour mixture. 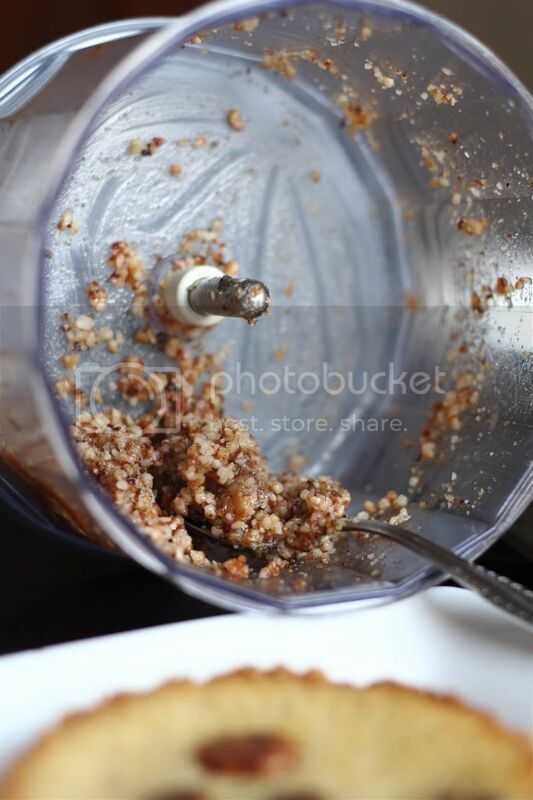 Process the nuts and oil in a food processor until it has completely broken down and almost liquified. Pour the filling into the pie crust and bake for about 30 minutes, or until the edges have darkened slightly and the center is slightly set. Let cool to room temperature. Just before serving, top the pie with the macadamia praline. 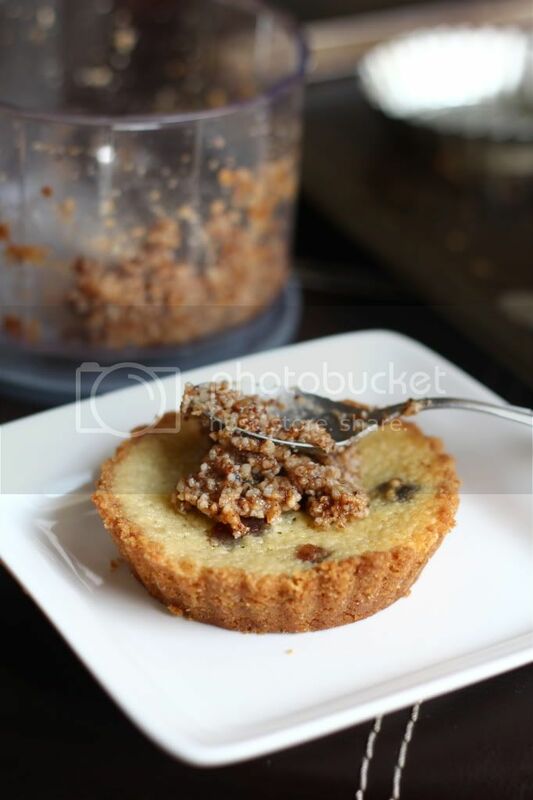 The filling is really delicious, and the macadamia praline is something I cannot miss out on. A must try, definitely! I cooked the recipe as per the book - the crust was perfect, the filling was VERY thick when I put it in the pan but it got very gooey when cooked. Not quite as sweet as the banana cream pie recipe. I loved this pie. why do people make substitutions without trying the original first? how could your gut instinct overrule the opinion of a professional who has made this pie hundreds of times, tweaking until she felt it was perfect?